This 9 bedroom villa with private pool is located in Modica and sleeps 15 people. It has WiFi, air conditioning and a garden. The villa is within walking distance of a beach. This 5 bedroom villa with private pool is located in Cinisi and sleeps 10 people. It has WiFi, air conditioning and barbeque facilities. This 3 bedroom villa with private pool is located in Menfi and sleeps 8 people. It has WiFi, air conditioning and a garden. The villa is near a beach. 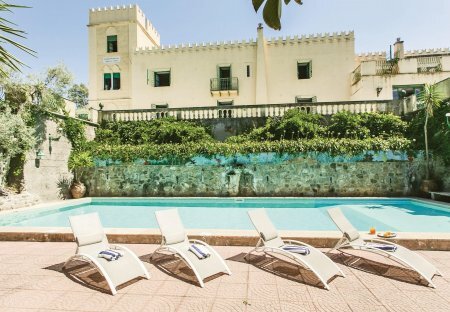 This 7 bedroom villa with private pool is located in Modica and sleeps 16 people. It has WiFi, air conditioning and a garden. The villa is near a beach. This 4 bedroom villa with private pool is located in Castelvetrano and sleeps 8 people. It has WiFi, air conditioning and a garden. The villa is near a beach. This 7 bedroom villa with private pool is located in Polizzi Generosa and sleeps 11 people. It has WiFi, barbeque facilities and parking nearby. The villa is near a beach. This 6 bedroom villa with private pool is located in Realmonte and sleeps 12 people. It has WiFi and air conditioning. The villa is within walking distance of a beach. This 4 bedroom villa is located in Marsala and sleeps 8 people. It has WiFi, air conditioning and a garden. The villa is near a beach. This 2 bedroom villa with private pool is located in Menfi and sleeps 6 people. It has WiFi, a garden and barbeque facilities. The villa is near a beach. Cozy holiday home on the ground floor and first floor, 6 km from Carini, in Palermo district. Surrounded by a large green space. 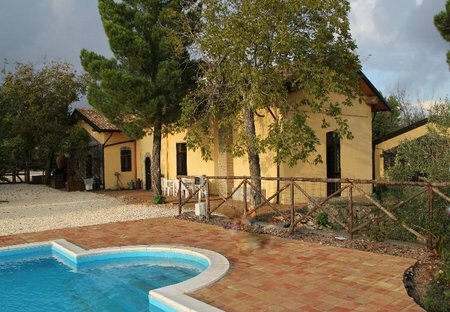 This 2 bedroom villa with private pool is located in San Leone Mosth and sleeps 6 people. It has WiFi, air conditioning and a garden. The villa is near a beach. Independent house in the suggestive hilly landscape of Naro (Agrigento). Large natural site (9 ha) with orchards, citrus orchards and olive groves. It is composed of 2 independent units. This 2 bedroom villa with private pool is located in Terrasini and sleeps 4 people. It has WiFi, air conditioning and barbeque facilities.